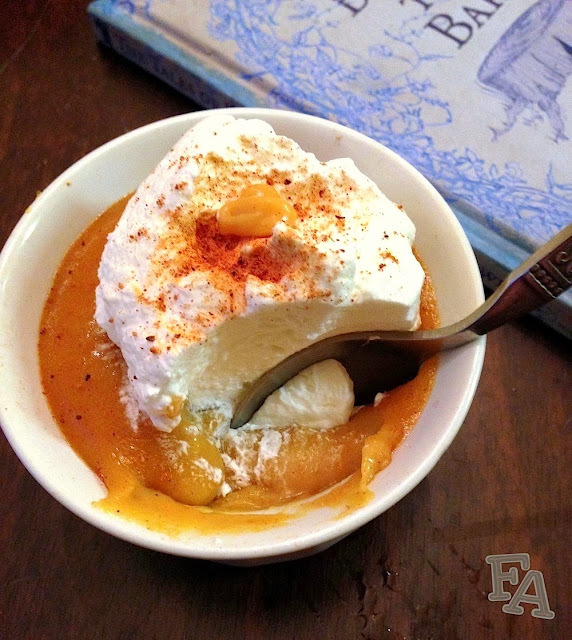 Fiction-Food Café: Pumpkin Pot de Crème Mix from Sof'ella + Harry Potter Giveaway! 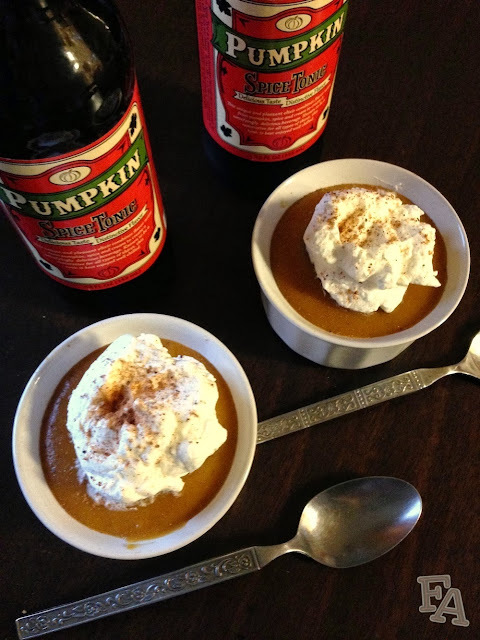 Pumpkin Pot de Crème Mix from Sof'ella + Harry Potter Giveaway! In the wizarding world of the Harry Potter books by J. K. Rowling, and the subsequent movies and video games, pumpkins can be found in various ingestible-and-otherwise incarnations including pumpkin juice, pumpkin pasties, pumpkin fizz, pumpkin tarts, and pompion potion (which turns one's head into a pumpkin, similar to the Melofors jinx). Even Professor Slughorn's favorite party punch contains pumpkin. And we can't forget dear Hagrid's patch of lovingly cultivated, enormous pumpkins, and Dagbert Pips' Pumpkins R Us, a shop dedicated solely to pumpkin products. 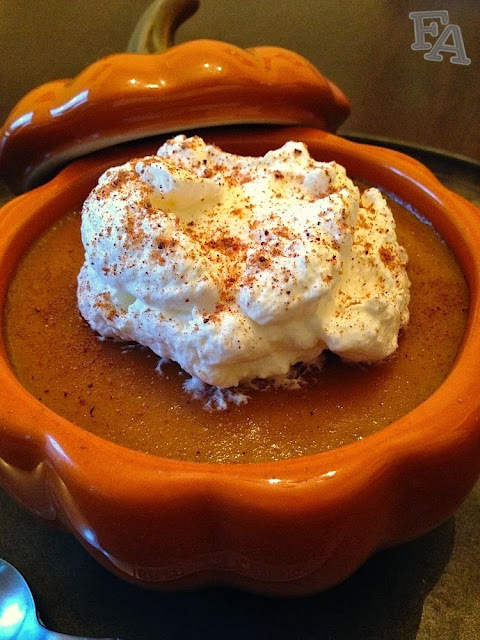 So, while not mentioned specifically in the HP franchise, I thought this pumpkin spice pot de crème, from a mix by Sof'ella, might be something nice and reminiscent. For a long while now I've been saving a little hardcover, UK 1st edition, of J. K. Rowling's Tales of Beedle the Bard to give away. And while perusing World Market recently I discovered several pumpkin items, including this pumpkin pot de crème mix (and it was on sale, tralala). So I thought let's combine these two and do a fun little Halloween-y giveaway (and there is a pot in the Tales besides) with a couple of other small items thrown in (owl cookie cutter & candy cauldron)! ((To be honest, I'd been saving this book along with a box of Bertie Bott's Every Flavor Beans, but apparently Jelly Belly's beans have expiration dates--printed on their boxes anyway. Oh well! I waited too long!)) I thought this Sof'ella mix would be perfect for a giveaway because all you need to add is milk (and provide your own whipped cream if you want it, recipe here). The consistency of this pot de crème is like custard and it tastes like you're eating pumpkin pie filling. It's really yummy, especially with whipped cream on top. And it's so easy to make! Just the package plus milk. easy peasy. It makes enough for 4 servings in regular size ramekins. Note: This pot (de crème) does not hop. EDIT: Sof'ella Food Company is now closed (as of April 1 2014, no joke)! They sold their products to American Naturals Company but as of yet (10/14) they have not put the pot de crème back into production. Sad day. 1. Pour the pot de crème powder mix & the milk into a pot on medium-high heat. Whisk until the mixture thickens & comes to the very beginnings/whisperings of a boil. Reduce the heat & cook about 30 seconds more. Remove from heat. 2. Pour the mixture into little ramekins or glass cups & let sit on the counter until room temperature. Then place in the fridge for 1-2 hours to chill & solidify. Serve with whipped cream (recipe here) & nutmeg sprinkles on top! 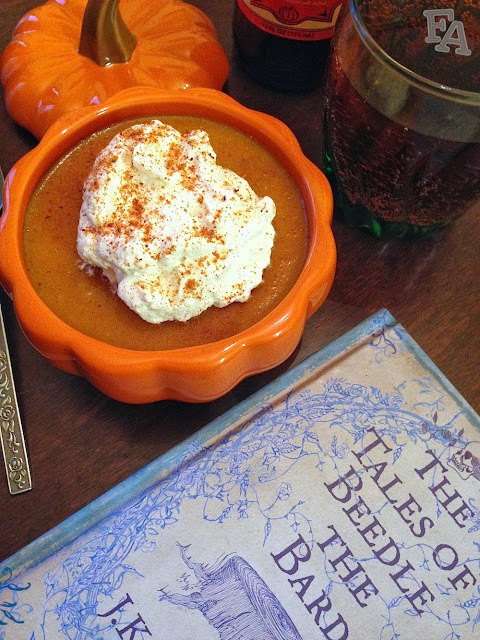 Tales of Beedle the Bard & Pumpkin Pot de Crème Giveaway! Thanks for sharing the recipe and the links. Thanks for checking out the post, Carol! Yes, this mix is wonderfully easy to make!